The weekly reset is still a thing for Bungie’s Destiny and until the reveal of Destiny 2 on May 18th, this is pretty much all you’ll be doing. The Will of Crota is this week’s Nightfall with Brawler, Grounded, Chaff, Epic and Match Game as modifiers. In short: Jumping results in increased damage taken, enemies with shields are resistant to unmatched elements and there’s no radar. On the flip-side, you can punch things pretty hard. 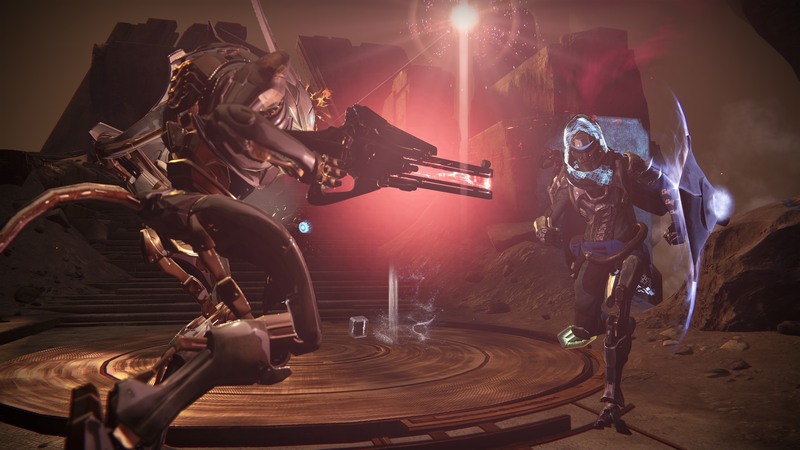 The weekly featured raid is Vault of Glass, which means that all challenges are active. This applies for the Templar and Atheon – completing these challenges will reward you with Adept versions of primaries that deal elemental damage and ornaments. Meanwhile, the Heroic Strike playlist includes the modifiers Specialist, Chaff and Airborne. Bring a Telesto or Trespasser and keep attacking from the air. Overall, it’s a pretty average week for activities. For more information on bounties, material exchange and so on, head here.